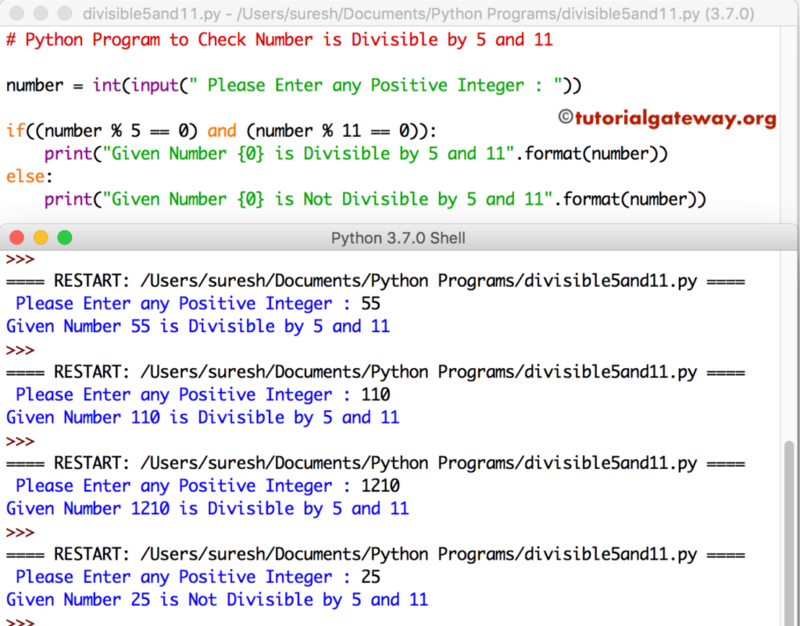 In this article, we will show you, How to write a Python program to Check Number is Divisible by 5 and 11 using If Else with example. This python program allows user to enter any integer value. Next, it will check whether the given number is divisible by both 5 and 11.